« What to blog about? 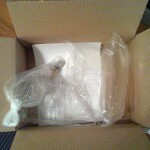 Online retailers are quickly becoming notorious for the most wasteful practices when it comes to packaging. What is the reason for this? My guess is that retailers like Amazon.com, Dell, Staples, etc. have a standardized packaging system. I am assuming their system uses a very limited number of box sizes like a Small, Medium, Large, and Special-Large. 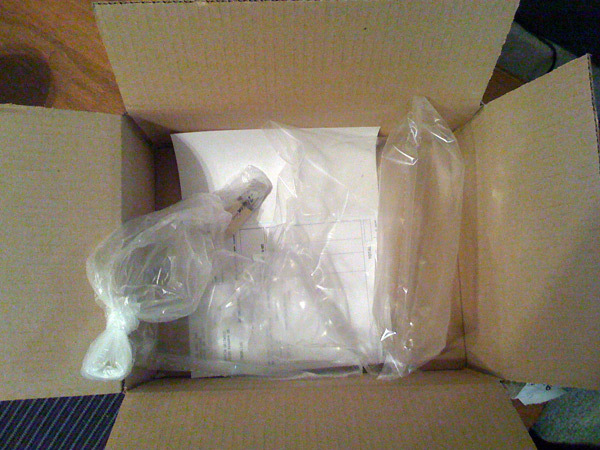 Small is like a catch all for a large percentage of the shipments from a thumbdrive to a hard drive, starting with something like a 14×12x6 box, and moving up from there. This certainly may reduce costs and makes it much easier to automate, but when I receive an 1 1/2″ eraser in a cardboard box 1000 times it’s size, I feel sick to my stomach. I am not a “tree-hugger” but this has to bother anyone who cares about the environment even a little bit. There is no reason that they could not have shipped the eraser in a small envelope. There are many first-hand examples of this on the web, but nothing has changed and I don’t think these retailers have answered to this. Makes me think about boycotting online retailers… but they are the lesser of two evils. Paying 20% more than online prices for a gadget while having a BestBuy rep try to convince me why I need $85 HDMI cables, is worse than this. This entry was written by Justin, posted on February 9, 2009 at 5:23 pm, filed under Web and tagged Amazon.com, box, Dell, e-commerce, gadgets, online, retailers, waste, wasteful. Bookmark the permalink. Follow any comments here with the RSS feed for this post. Post a comment or leave a trackback: Trackback URL. You’re saying what we’re all thinking!